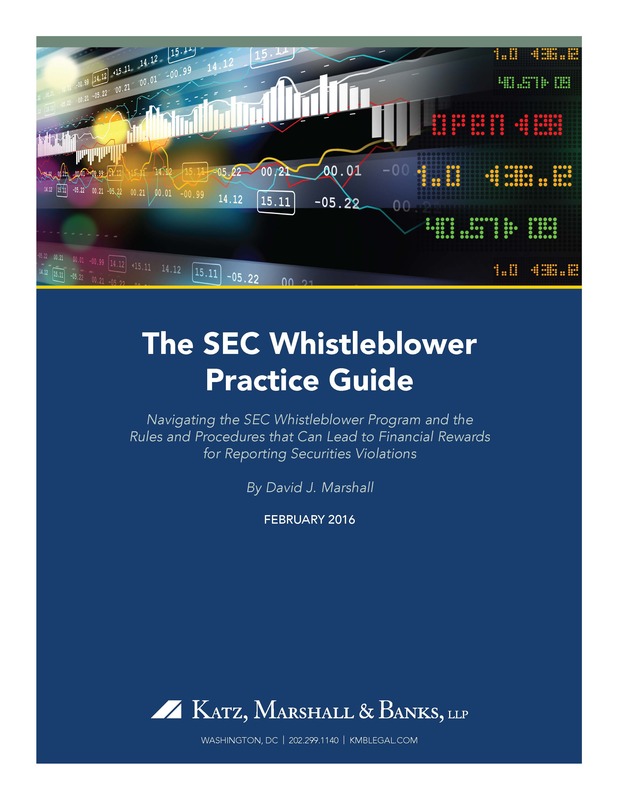 On February 18, 2016, Katz, Marshall & Banks released the 2016 comprehensive practice guides for the whistleblower programs for the U.S. Securities and Exchange Commission (SEC) and the U.S. Commodity Futures Trading Commission (CFTC). The Firm has produced our SEC Whistleblower Practice Guide annually since the inception of the SEC Whistleblower Program in 2010 as part of the Dodd-Frank Wall Street Reform and Consumer Protection Act (Dodd-Frank). As a companion manual, our first-ever CFTC Whistleblower Practice Guide covers the whistleblower program for the CFTC, an independent agency with regulatory authority over futures trading. Both guides provide in-depth explanations of the rules and procedures concerning the respective programs, offer valuable practice tips for whistleblowers and their counsel, and outline the legal protections that whistleblowers have against retaliation for reporting violations to the SEC and CFTC. SEC officials have continually praised the whistleblower program as a significant addition to the Commission’s ability to enforce the nation’s securities law – in some cases facilitating early intervention to minimize the harm to investors from unlawful conduct. To date, the SEC has paid over $55 million to 23 whistleblowers under the program. The CFTC Whistleblower Program, which also was established through Dodd-Frank, began accepting whistleblower tips in September 2012, with the number of tips steadily rising since the program’s inception. 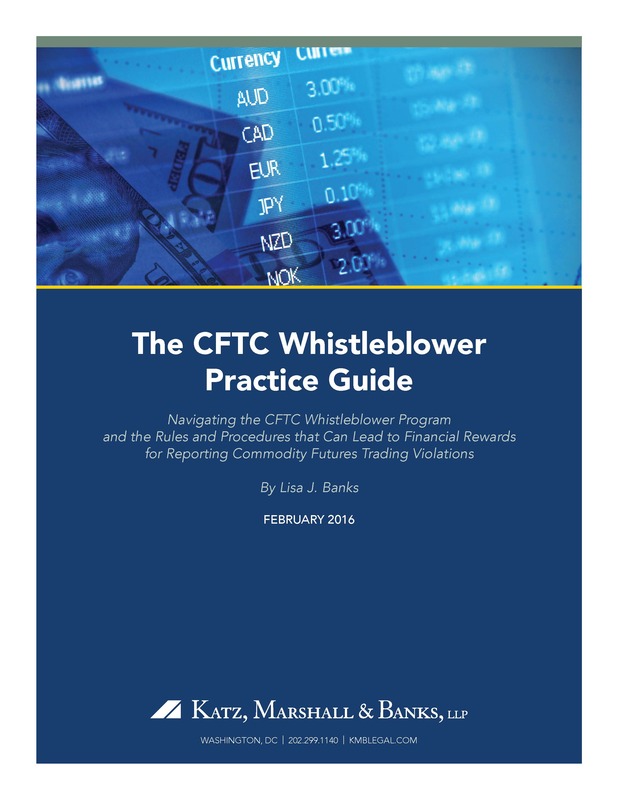 The CFTC thus far has paid two awards to whistleblowers in connection with these tips, including a September 2015 payout totaling $290,000. The guides are available for free download. The SEC Whistleblower Practice Guide can be found here, and the CFTC Whistleblower Practice Guide is available here.